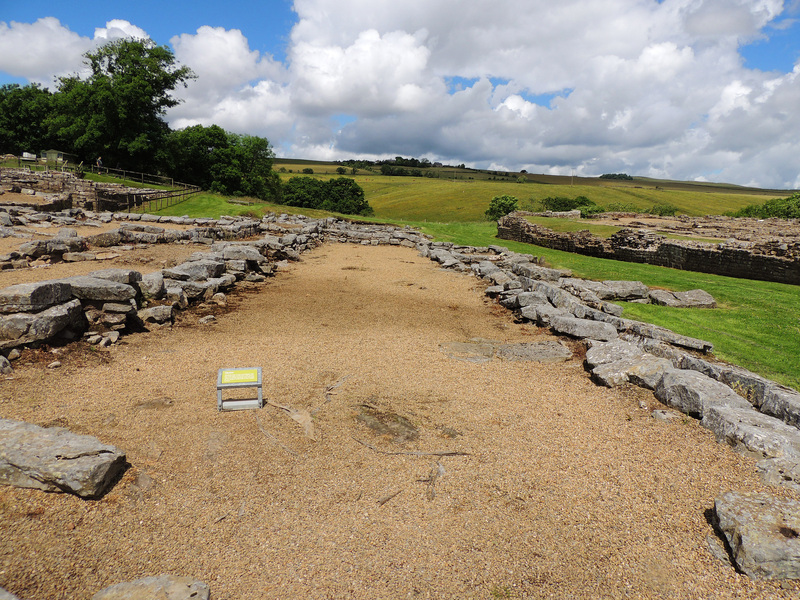 The first Roman activity on this site dates to between 74 and 85AD. 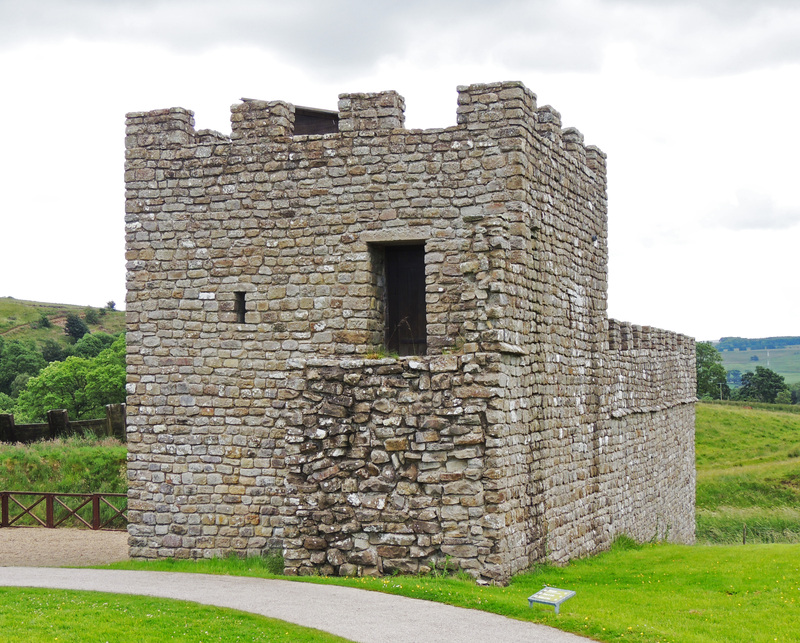 Between these dates and the withdrawal of Roman troops in 410AD there were no fewer than 9 forts built on this site. 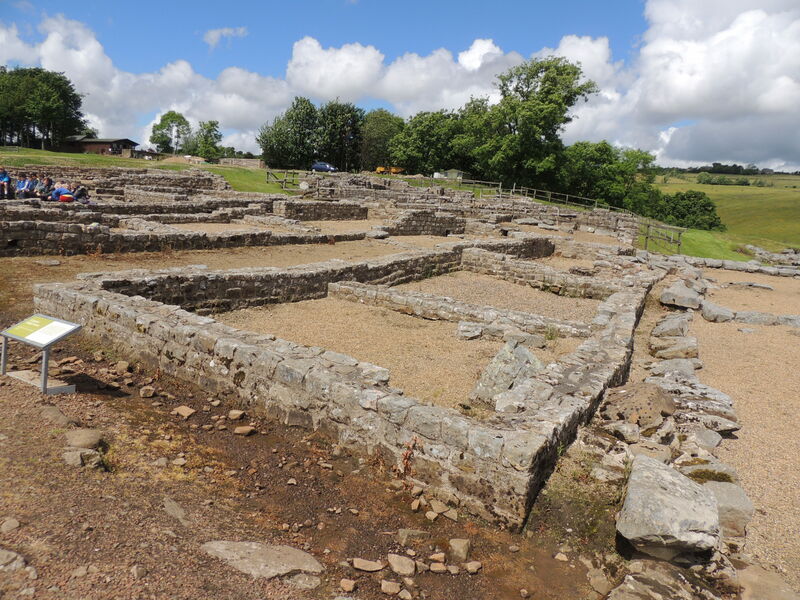 4 of these pre-date the building of Hadrian’s Wall in AD120s. 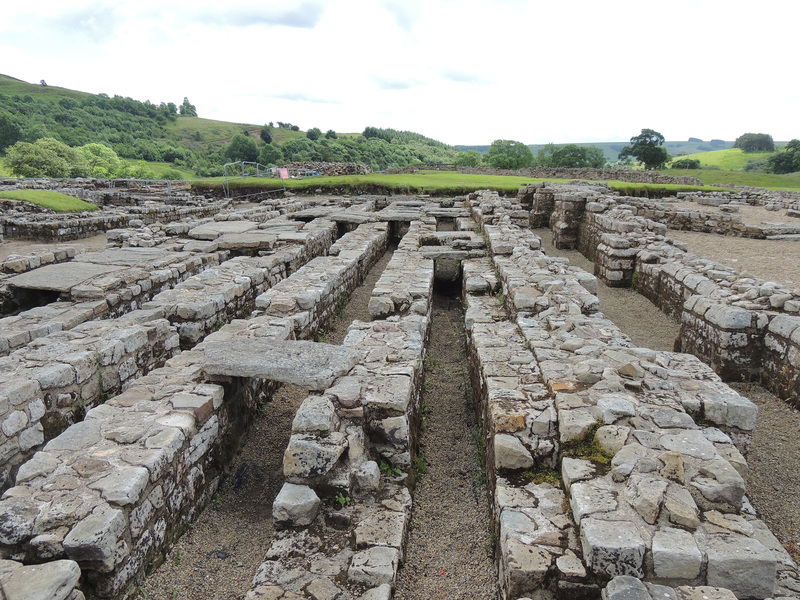 These formed part of the open frontier based on the Stanegate road from Carlisle to Newcastle. 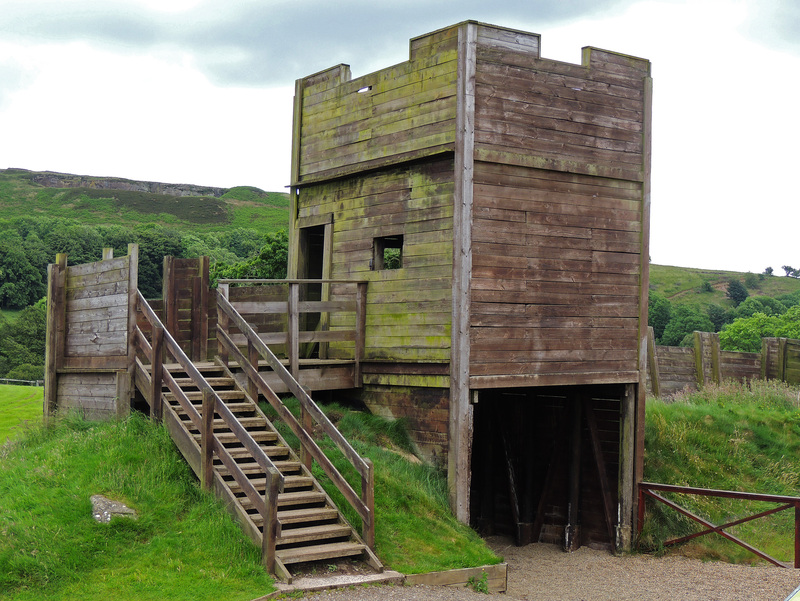 Later forts were associated with the garrisons on Hadrian’s Wall a mile to the north. 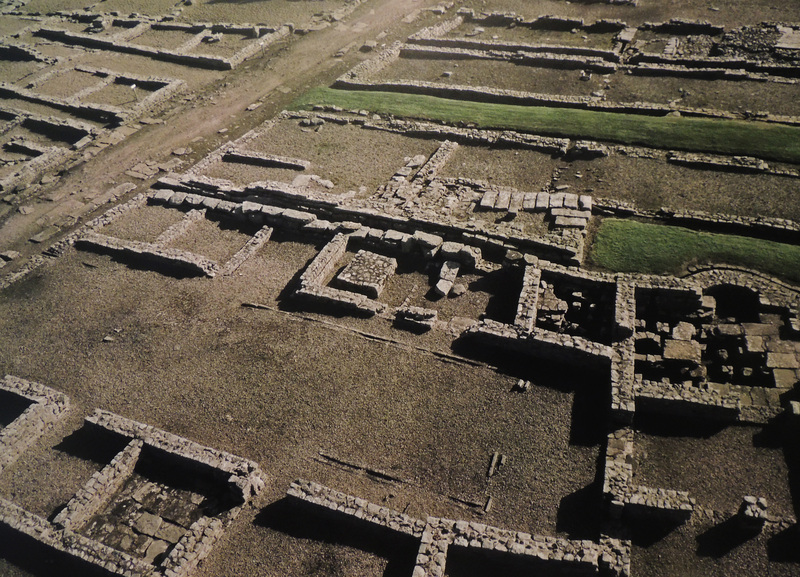 The visible remains today are from the third century stone fort c213AD. At this time it was manned by the 4th cohort of Gauls (recruited in France). 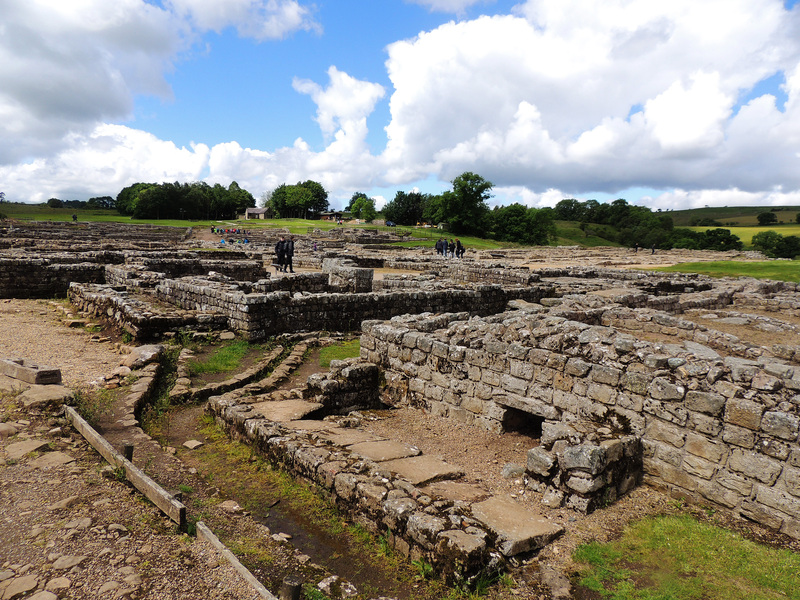 At its height, it is estimated that the population of Vindolanda fort and its civilian settlement may have been 3000-4000 of which approx. a 1000 would have been military personnel. These would have been auxiliary (non-legionary) troops who served as the garrison for the towers on the wall. 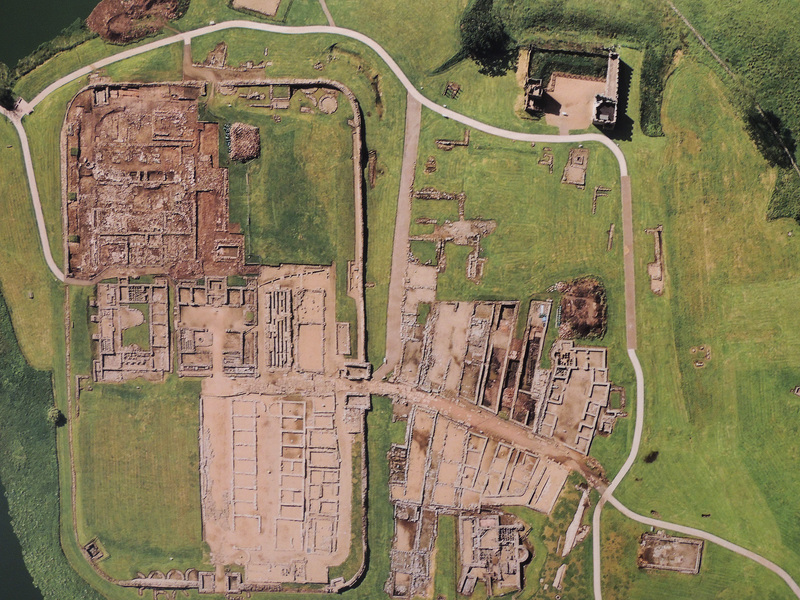 Interestingly unlike many other Roman forts the withdrawal of Roman forces and administration in the 5th century did not lead to an abandonment of the site and there is evidence of continued occupation into the 9th century before it was finally abandoned.